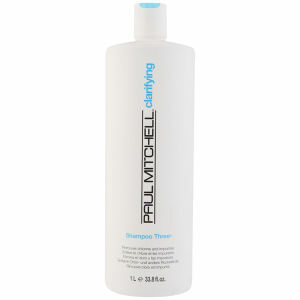 Cleanse and brighten your hair, helping to remove residues from chlorine build-up, minerals and other medications with Paul Mitchell Shampoo Three. It’s perfect for use after swimming or before conditioning treatments. 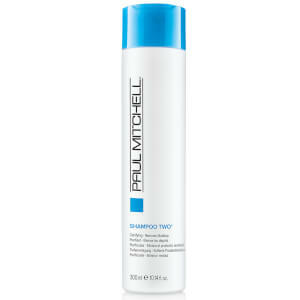 The unique formula of Paul Mitchell Shampoo Three is especially effective when used after swimming to remove unwanted chlorine and prevent chlorine green hair. It also increases inner strength and prevents immediate redeposit. 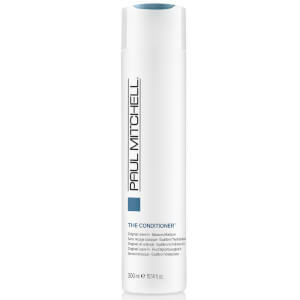 Use Paul Mitchell Shampoo Three prior to chemical services when build-up is present and before deep conditioning or reconstructive treatments to help accelerate and enhance complete penetration of conditioning products.